Researching tyre prices is not a matter of a few minutes. In former times we made use of the deals available at the shop around the corner or got into the next city at a pinch. Today many drivers buy new tyres on the internet, where the tyres prices are readily comparable. But the large number of vendors is becoming increasingly unclear. On mytyres.co.uk you get tyres always for competitive prices, so you can save the time-consuming search. We have also a user-friendly interface for finding the proper tyres for your vehicle quickly. The best tyre prices can be found only if you compare. Therefore mytyres.co.uk offers not just a product in the desired size, but presents a wide range of over 100 tyre brands. Do you prefer a low-cost tyre or will you choose a premium manufacturers such as Dunlop, Michelin or Uniroyal? Your choice! Home brands from our company can be ordered at very attractive prices as well. If you have an overview of the tyre prices and made your choice, it's time for the potty order. It is possible to specify a car repair shop as the delivery address, where the tyres can be mounted. Don't you know one? Then take a look at our tyre fitting stations near you - they are on hand for tyre changing. When paying the tyre prices mytyres.co.uk offers several options:credit card, Paypal and bank transfer. 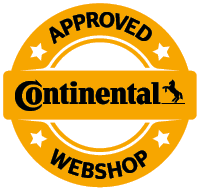 This flexible choice is part of our customer service, that makes us one of the most popular online tyre retailer. So save yourself the time for an extensive tyre price research on the internet and order your new tyres today on mytyres.co.uk.